We believe in going the extra mile for all of our customers. 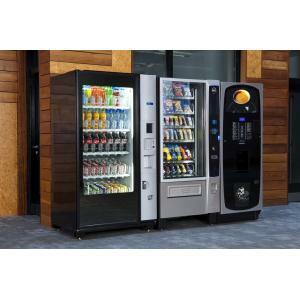 We take real pride in adapting our office vending machines and services to each site. We understand the importance of a quality service for office and facilities managers, and end-users. 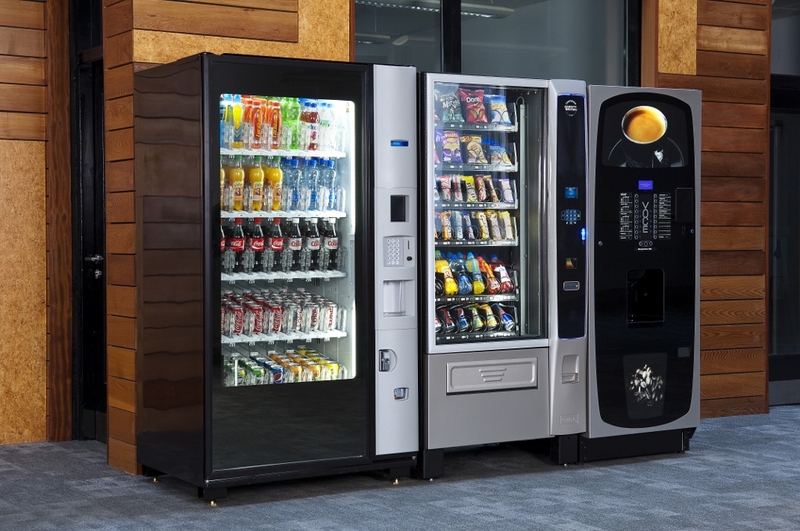 We can guarantee high-quality, brand new equipment from market-leading manufacturers such as Flavia, Keurig,and Bravilor Bonamat coffee machines and cold drinks or snack/food machines from the likes of Crane and Necta. Your equipment will look good, be quiet and efficient in operation, and will meet the highest standards for energy efficiency. We offer a very wide range of drinks and snacks from all of your favourite leading brands. Some vending businesses take a “one machine for everyone” approach but we work with you to tailor the selections to meet your needs and advise you on which products tend to be most popular in your type of business. We also advise on products for particular demographics and dietary concerns including healthy vending machines and Fairtrade. We can accommodate every request, from low-calorie cereal bars to protein bars for gym enthusiasts! You know the ebb and flow of your office best so we are happy to work to your timetable. We can ensure that visits are completed in quiet periods and we monitor throughputs to ensure that stock levels are maintained, even during busy periods. The result is an unobtrusive, seamless service that ensures that your refreshments are available when you need them. We have invested heavily in Vendman technology to ensure that customer satisfaction is always high. Vendman provides us with extensive management information to help us identify key popular products, highlight slow-moving products and suggest alternatives. We can also provide complete reviews of equipment performances and visiting schedules against agreed SLAs. this assures our customers and gives them complete peace of mind that they are receiving the best service possible.